Solapur (IPA:�[Sōlāpūr]) (�pronunciation�) is a city located in the south-eastern region of Indian state of Maharashtra. 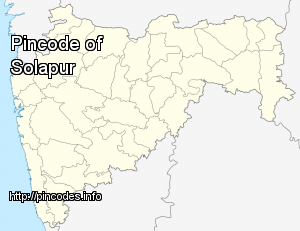 Solapur is located on major road and rail routes between Mumbai and Hyderabad, with a branch line to the cities of Bijapur (now known as Vijayapur) and Gadag in the neighbouring state of Karnataka. It is classified as a 2 Tier and B-2 class city by House Rent Allowance (HRA) classification by the Government of India. It is 49th-most-populous city in India and 43rd-largest urban agglomeration. Senior BJP leader Tawde said that Shinde's claim of joining the party, may have come after he sensed the little chances he had of winning from Solapur in the April-May Lok Sabha polls. BJP has won the Solapur Municipal Corporation polls.